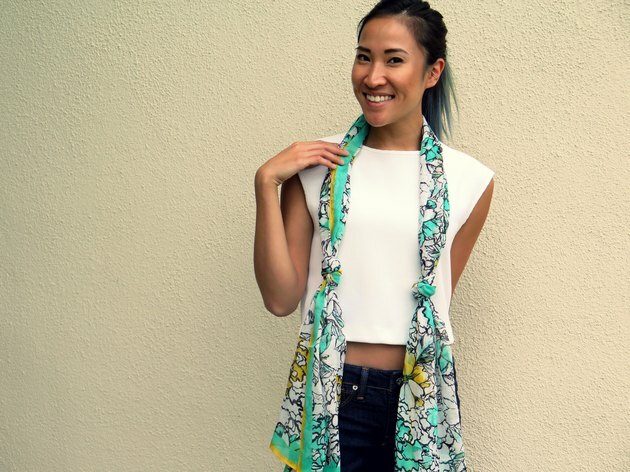 A lightweight scarf adds a fun pop of color or print to your spring and summer outfits. 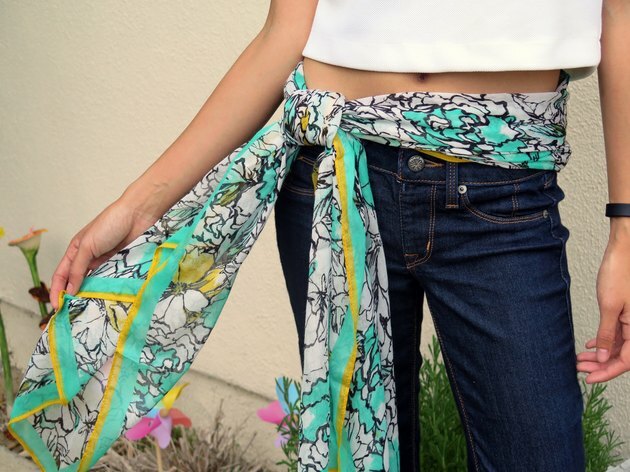 Wear your scarf with a casual t-shirt and jeans or a warm-weather dress. With a long linen, cotton or silk scarf, you can get five different looks with some creative ties. Hang your scarf around your neck so that it drapes in the front evenly on each side. 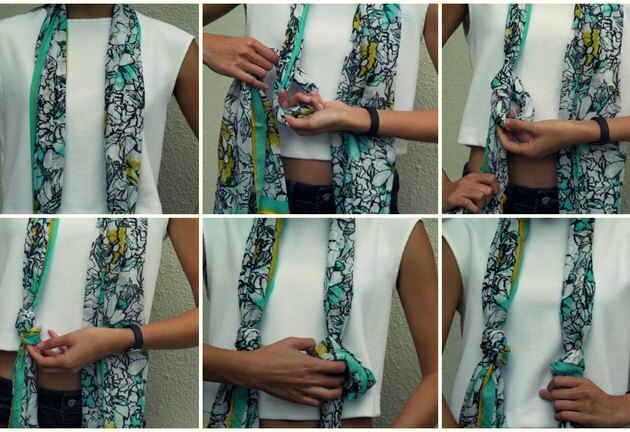 Take one side of the scarf and tie a knot, then take the other side and tie a matching knot. 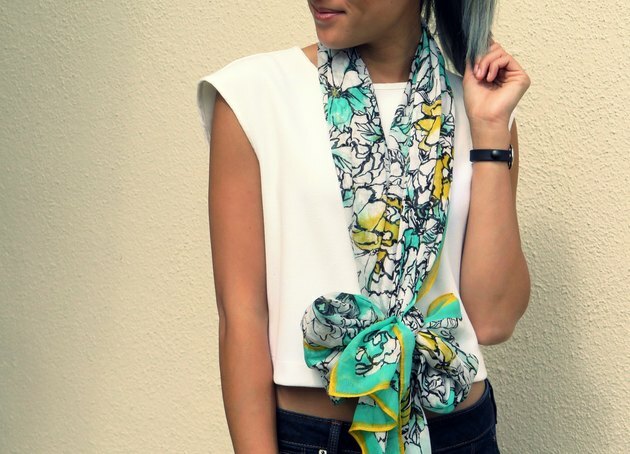 This is a simple yet elegant way to style a scarf. Place the scarf around your neck and let both sides hang evenly in front of you. Take both sides of the scarf approximately in front of your stomach, and tie a bow. Gently pull on the loops of the bow to give it more shape. 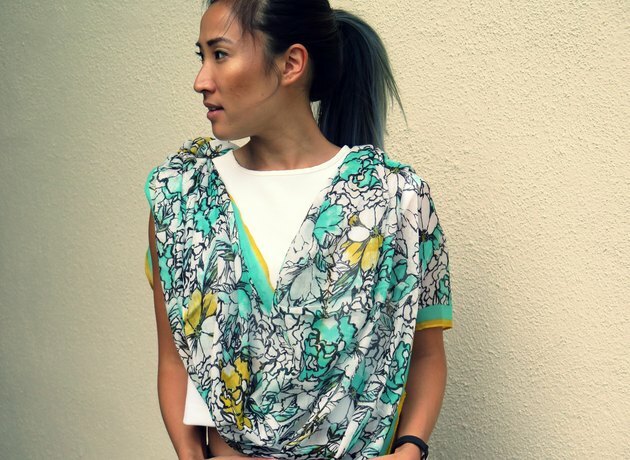 Open your scarf and drape it around the back of your neck so that the ends come in front of you. Grab the ends and tie a double knot, then position it behind you; it does not matter which side the knot sits on, left or right. Adjust the scarf in the front so it drapes how you like. Place the scarf around your neck and let the two sides hang evenly in front of you. Twist one side of the scarf tightly then wrap it around your neck. Twist the other side tightly and wrap it around your neck. Grab the ends of the tightly wound sides and tie them into a double knot. 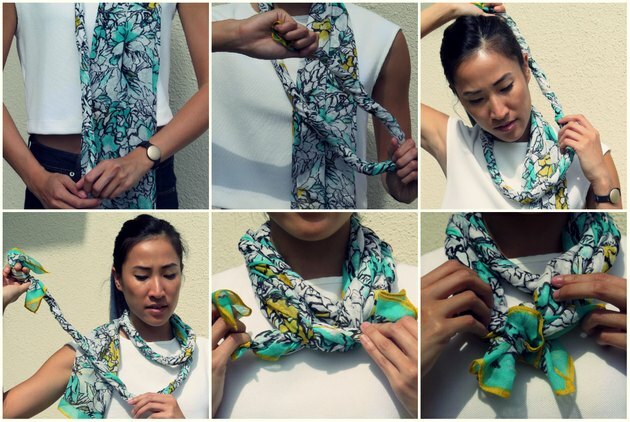 You may need to re-twist both sides of the scarf before you knot it; you can wear the knot to the front or to the back. 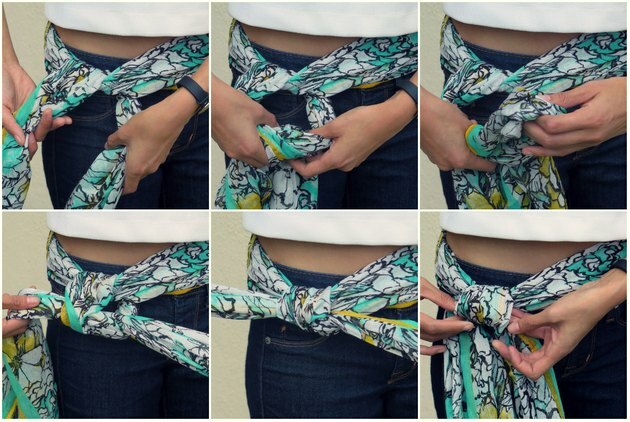 Wrap the scarf around your waist (you can pull it through the belt loops of your jeans or pants), and tie it into a double knot off to the side instead of at the center of your waist. 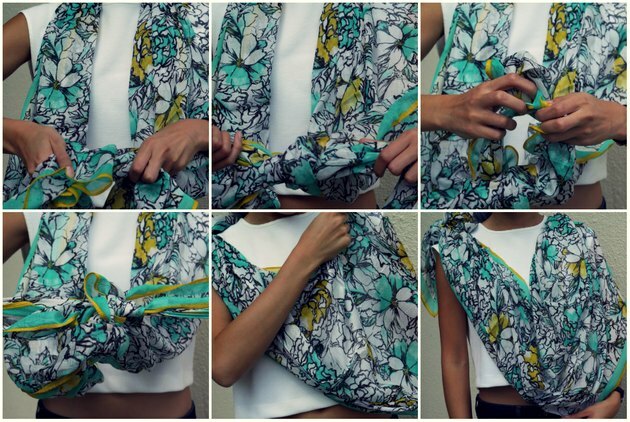 You can also tie the scarf into a bow instead of a double knot for a different look.